Jade is an ornamental rock. 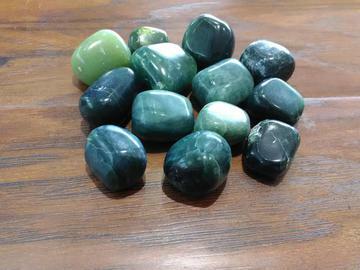 It is two different metamorphic rocks; such as Nephrite and Jadelite. Jade was first identified in Canada in 1886 in British Columbia. Jade works with the Heart Chakra, balancing male and female energies, and helping with dysfunctional relationships.It instills a sense of calm and well-being, and can help to increase one's enjoyment of life.